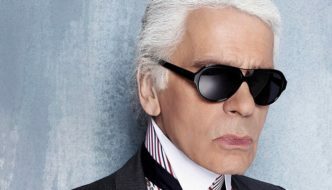 Jihad Watch : Noted German fashion designer Karl Lagerfeld slammed German Chancellor Angela Merkel on French television saying she had invited the “worst enemies” of the Jewish people to Germany during the migrant crisis. A Jewish teen’s parents had to remove him from a leading school in Berlin because of reported beatings and abuse from Muslim classmates. A German boy was kicked and beaten by Muslim schoolmates after telling them he was Jewish. A Jewish man was attacked, beaten and robbed by two Muslim men in open view at a train station and called anti-Semitic names. A Muslim soldier in the Germany military rejected of Israel’s right to exist and openly proclaimed support for the terrorist organization Hamas. He was dismissed by the military. Josef Shuster also called for “Islamic associations and schools to do more to counter this kind of prejudice….The whole of society needs to take the problem of Muslim anti-Semitism very seriously, while at the same time avoiding casting suspicion on all Muslims.” While not all Muslims ascribe to the literal understanding of Islamic doctrine and texts, far too many do. It is a ubiquitous global problem, with state funding backing religiously sanctioned human rights abuses. Islamic anti-semitism is ingrained in Islamic doctrine.